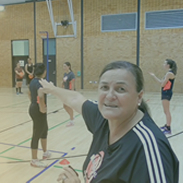 Coach rallies with player. Player alternates hitting forehand and catching/throwing forehand. First athlete then tennis player. This phrase should be a priority for coaches working with young players. Young players have to develop plenty of athletic skills to be able to become decent tennis players so early specialisation is an old and ineffective way to teach tennis. 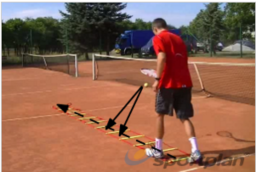 Coaches should make sure that drills include development of tennis-specific and general skills at the same time to use 100 % of young players' possibilities to improve.